If FEMA had the bicycles, would it fund Hustler's manlet bib? - Page 4 - Miata Turbo Forum - Boost cars, acquire cats. 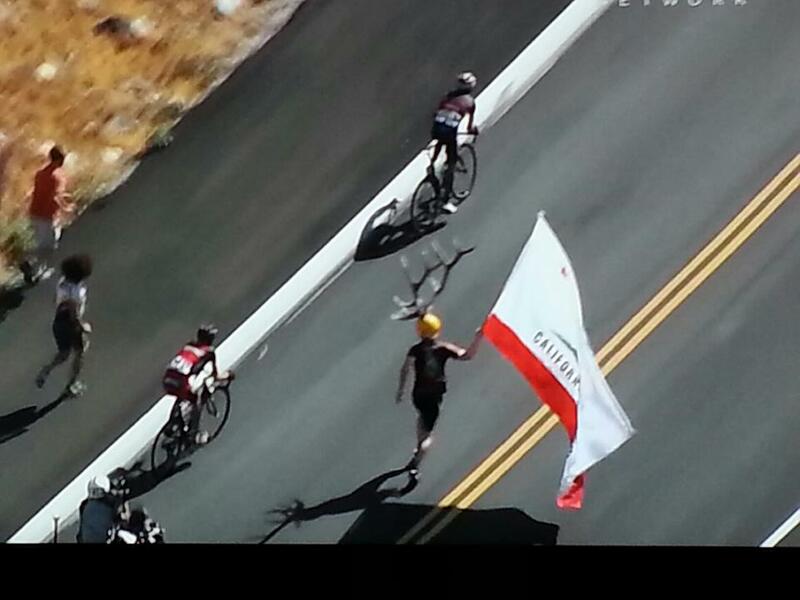 Few here know of my background in cycling. From about '92-03 that's all I did. 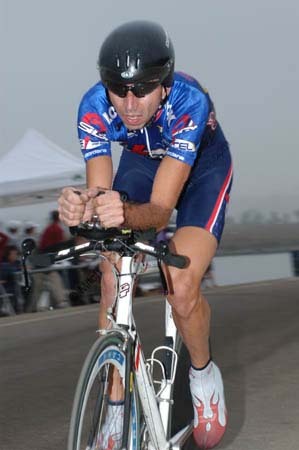 Worked in the bike industry, raced and trained constantly. 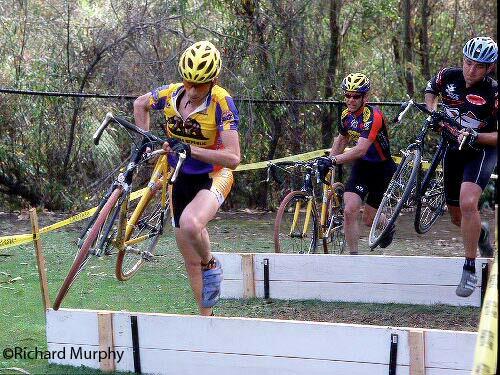 Managed a few state and national championships in XC, cyclocross, TT and TTT. I am still very much a bike geek. 23.8 lbs with pedals and cage. 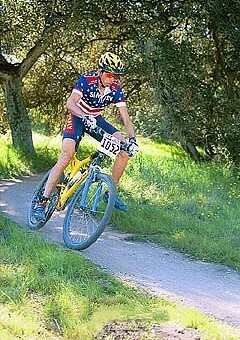 On the way to the '01 state (district) CX championship win wearing the reigning state champs jersey. State Team Trial Champs '03. I think we won that year. Last edited by emilio700; 05-28-2013 at 03:51 PM. 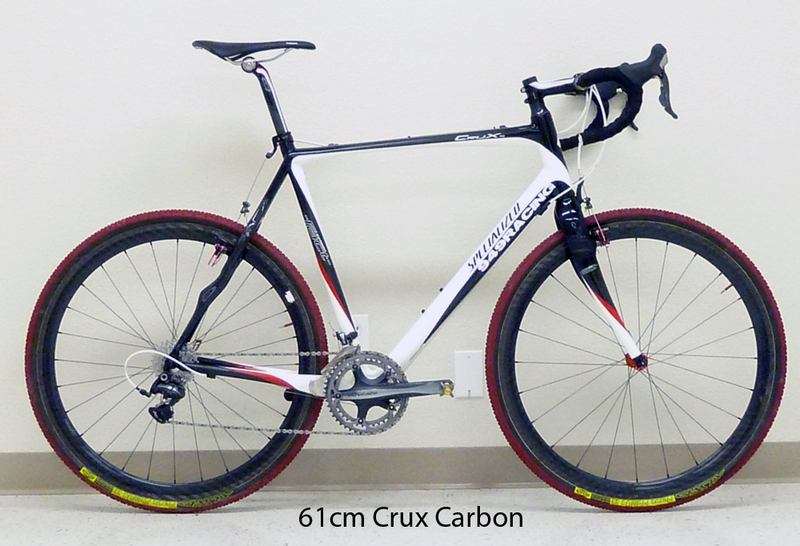 Old full-carbon Trek. Not sure of model but I adore it. I have a few 10-15 mile loops that I'll do after work and every time I ride into the driveway it's like the bike wants to keep going. 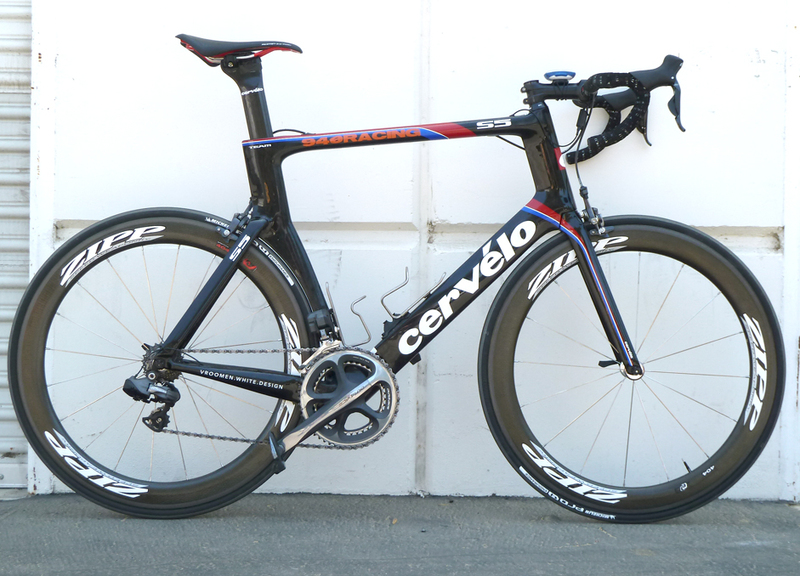 Even though this bike is relatively old and carbon bike technology has advanced quite a bit, I am a believer in carbon. On rough asphalt the difference is pretty incredible. However, I believe the road surface and tire choice affect comfort more than frame material. If you want a smooth ride, scope out some smooth roads. I switched to cheapo tires from gatorskins and was blown away by how much it helped the ride. I had a very similar trek OCLV back in the day, pretty nice bike. I sold mine and got a random issic impulse I found on craigs list about 5 years ago... the issic geometry is actually a little aggressive for me these days, need to get back to a fighting weight! I think I might be too heavy for my wheels now... lol. Emilio with the Dura Ace post in my poverty thread. CX may get a go in the fall from me. Until then, John and I are still crushing almost every day. One drop, one bar-smash, one wreck, or even one chain-stay touching a curb means you are out a frame. That's too fragile for my taste. well you gotta burn through the top coat to have a problem. I know lots of people who have had pretty wrecks on CF bikes and the bike was not totaled per whoever looked at it. white fly, keep an eye on those hubs, they have a reputation for cracking around the spokes. I switched to cheapo tires from gatorskins and was blown away by how much it helped the ride. And Gatorskins aren't really high-performance tires either. A really good tire, like a Conti GP4000, makes a dramatic difference in ride and grip compared to most original-spec tires. The top-end clinchers are so good that tubulars aren't really worth the hassle anymore. But I run Gatorskins too. The loss in smoothness and grip is well worth NEVER getting a puncture. How much less grip does a Gator have compared to the GP4K? I have Mavic Detonators now and they are they are "fine". I ran Seca RS previously and they were definitely smoother. Don't know how to quantitatively communicate the difference, but I'll say that the GP4000's I tried for a while had more grip than I was comfortable using. Maybe if I were Belgian, 135 lbs, and had 7% body fat. I thought about a GP4K up front and a Gator on back. Is that homo? Anyone here have experience with Bicycle Wheel Warehouse's Blackset Race or Vuelta's Corsa Superlight wheelsets? They are both sub $400, appx 1500g and from what I read of good construction. I know, considering price-weight-strength pick two but I've heard good things about these. I am 140lbs and they will be going on my CAAD9, replacing the stock Shimano WH-R561 (1800g - pictured earlier). The front is damaged so I'm going to upgrade both. I want a lighter wheelset that I can train on and then begin entry-level racing in the next coming year. Recent college grad (this weekend) so no 1k+ suggestions if you can help it. Tire decision will come next. I'm listening close to what you guys are saying. Rear flats are maybe 3x more likely than fronts. Rear tire wear is also roughly 2-3x faster than front. So a lot of riders will run a harder compound rear with greater puncture resistance. I had some Specialized Flak Jackets (not as burly as impenetrable Armadillos) that rode too hard for S5. Aero frames with aero posts don't have nearly the compliance of rounder tubed bikes so they need a little help in the wheel and tire dept. Changing to wheels with fewer and smaller spokes helped a bunch too. Most of the OEM wheelsets these days are sorta faux aero with rigid 19-28mm alloy rims and >120kg/cm tension spokes which tend to ride really hard. The wheels that came on the S5 were like that and rode like bricks. The local Performance bike shop (bought out Supergo several years ago) had red Michelin Pro4's on sale at half price so I snapped up a bunch. Not super puncture resistant but they ride great. My long days are 100+miles so the extra comfort is worth the slight increase in puncture risk. And yes, you will be a crosser. It is written. 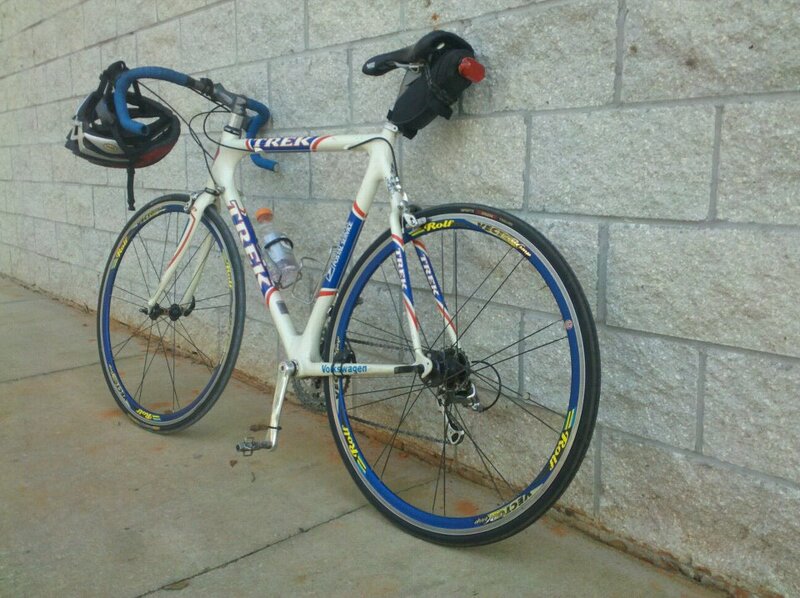 I havent ridden the gp4000s but I have a pair of older Conti Ultrasports on my roadie right now. They also have more grip than I am comfortable using, lol. I find it hard to spend $40+ per tire for a bicycle, and im probalby missing out on something because of it, but i'm not quite there as a rider. I'm also fat and slow. My long rides are 25miles. For a mountain bike I'm with you 100%. But this is not a mountain bike. It's been ridden roughly 25,000 miles including commutes in downtown LA and Brooklyn, been tossed in the back of my car countless times and generally ill treated while being kept in my tiny dwellings and it's ready for more. At this point, I couldn't go back to aluminum. Not for a newer bike or sexier frame. A lugged steel tourer might be fun, but carbon owns for going fast for a long time as comfortably as possible. Word. I'll take a look at them. I hardly ever get punctures on my GP4000s, but got them quite often on the Michelin Pro Race 2s. 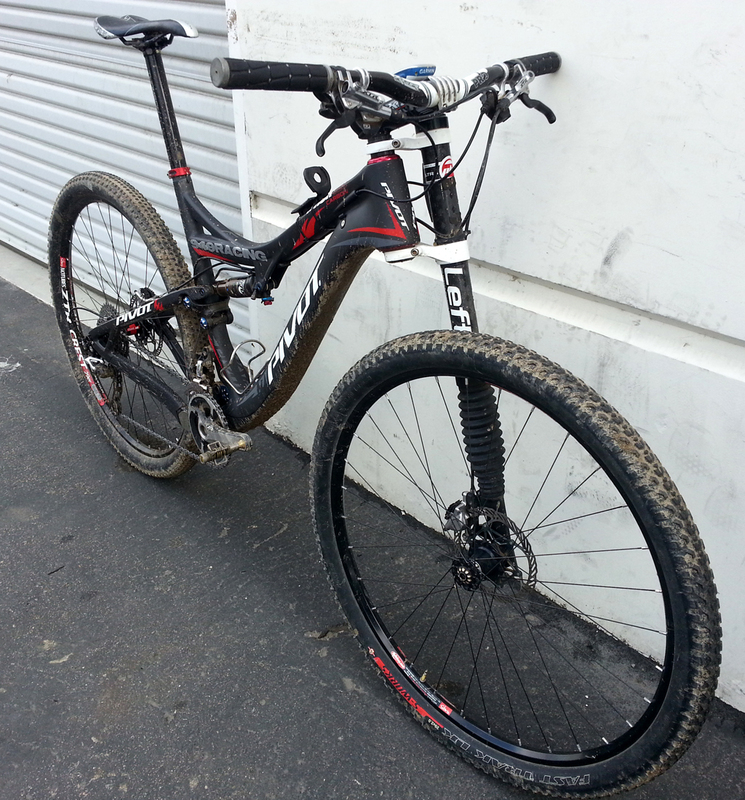 I like my carbon frame & wheels but I wouldn't run carbon bars. Do you guys use Strava? I'm on Strava. Haven't uploaded a ride in a while. LOL I'll keep that in mind in case I ever have to ride through a razor blade factory.